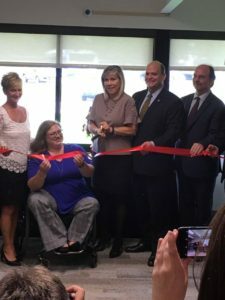 After nearly two years of program development and contract negotiation, a new model for enhanced collaborative mental health services has opened in the Southern Tier. Providing mental health services specializing in helping individuals struggling with grief, traumatic loss, advanced illness management,acceptance of a terminal diagnosis, and caregiver fatigue, The Clinic at CareFirst is a partnership between Family Services of Chemung County and CareFirst. Mirroring a traditional counseling model, clients are referred by a health or mental health professional, or they can refer themselves to The Clinic at CareFirst. Reimbursable by most insurance carriers, self pay clients can receive treatment on a sliding fee scale. Currently, we anticipate serving approximately 25 clients each week; future plans for growth in 2019 are also expected. 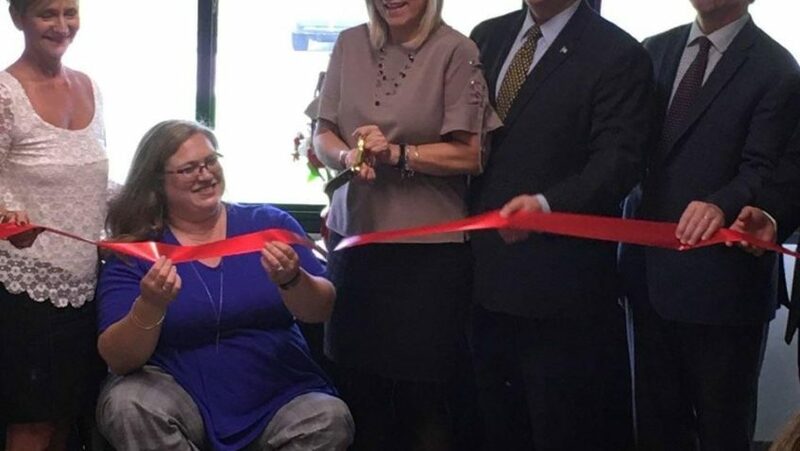 In honor of National Mental Health Awareness Week (Oct 7-13), The Clinic at CareFirst hosted its grand opening and ribbon cutting ceremony with the Corning Area of Chamber of Commerce on Wednesday, October 10th. In an effort to de-stigmatize attitudes about mental health, this event featured a mini-documentary of testimonials from individuals who have found The Clinic at CareFirst to be a welcoming environment, bringing hope and healing to their individual journeys. Watch the full documentary below or on our YouTube Channel. “When we experience illness or loss in our lives, the entire world shifts around us. We all need support in adjusting to those periods of life transition and now The Clinic at CareFirst can be there to provide that support,” said Chelsea Ambrose, Director of Counseling and Collaborative Services. Chemung, Schuyler, and Steuben counties have the highest mental health needs in the Finger Lakes area. However, one in four Chemung County residents report experiencing 14 or more poor mental health days in a given month, which is double the rate of Upstate NY as a whole. In an effort to meet this critical need for services, Family Services of Chemung County and CareFirst joined forces to form The Clinic at CareFirst. Satellite clinics are nothing new for Family Services of Chemung County, who currently manage 19 total clinics throughout the area, including the newest one at CareFirst. Given the rich history and experience of Family Services of Chemung County, this partnership was a natural fit for CareFirst. New York State that has developed a financially sustainable counseling program. While the Centers for Medicare and Medicaid Services (CMS) mandate that hospices offer bereavement counseling, these programs are often fully funded on donations, as reimbursement for these services are not applicable for hospice grief counseling. However, the partnership between Family Services of Chemung County and CareFirst has been contractually orchestrated in such a way that this a la carte niche service line allows CareFirst to be the first hospice pricing existed emotional and mental health services in the area of hospice, palliative care, and grief services.